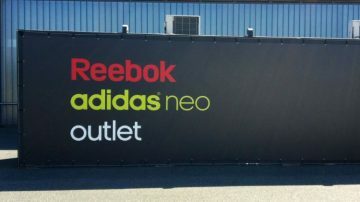 The large Adidas factory outlet store in Herzogenaurach near Erlangen and Nürnberg offers up to 70% savings on Adidas, neo and Reebok. 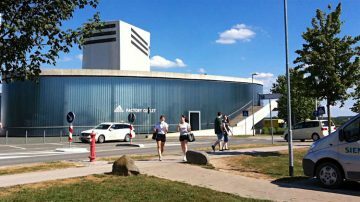 The largest Adidas factory outlet shop in Germany is in the small town Herzogenaurach, where the famous brand with the three-stripes was founded and still has it head offices. At this Adidas Fabrikverkauf shoppers save generally between 30% and 70% on all items with special deals making savings even more spectacular. Apart from overstock items and factory rejects, this Adidas shop also has some special trial-run items and design or production studies on offer. In addition to Adidas (with a neo and Reebok shop), Puma also has a factory outlet store in Herzogenaurach while several multi-brand stores offer spectacular savings on brand-name fashion items. The Adidas factory outlet is a short drive from Erlangen and Nuremberg (Nürnberg) near major highways. 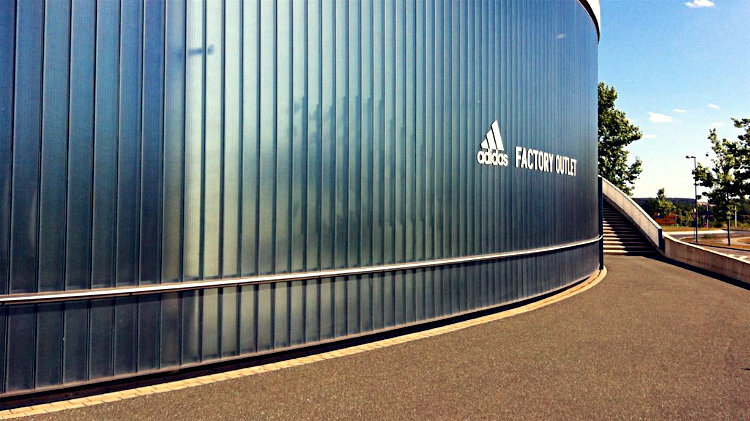 The largest Adidas factory outlet store (Fabrikverkauf) is near the Adidas Head Office in the small Bavarian town Herzogenaurach near Erlangen and Nuremberg (Nürnberg) in Germany. Here shoppers may save at least 30% (often more) on Adidas, neo and Reebok articles and also buy some special production run items. The Adidas factory outlet shops is in a large, modern building with especially good bargains available when the merchandise spills over into large tents adjacent to the parking lot. Reebok and neo are in a smaller adjacent building. The selection at the Adidas outlet store (Fabrikverkauf) is enormous but depends on the season. Many items are simply overstocked items and usually from the previous season – which is often the current season for normal shoppers. Shop-soiled and factory reject items offer the biggest savings and are clearly marked as B-Ware, second selection, or similar terms. In contrast to other outlet stores, the factory shops of Adidas in Herzogenaurach also sell trial run items that cannot be found anywhere else. These include production tests and also new designs. Some designs may be deemed not suitable for market while others may be great buys as they turn out to be too expensive or too complex to produce commercially with production stopped after a short trial run. 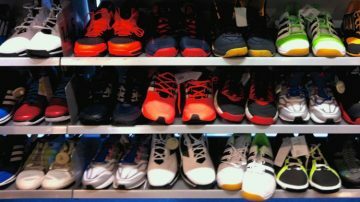 These items, especially shoes, are only made in a single size – men shoes often size 9, size 7 for women and larger for basketball shoes (less common in Germany). Adidas is the main reason to visit Herzogenaurach whether for business or shopping but there are many other opportunities to save big in this small Bavarian town. Puma, long the in-family competitor to Adidas, has an outlet store just down the road from Adidas Fabrikverkauf at Zum Flughafen 1, 91074 Herzogenaurach. However, some of the best deals may be found at the smaller multi-brand stores that are in the vicinity of the large Adidas and Puma shops. At these stores the selection on offer heavily depends on the season and what the manager could get hold of but the deals, discounts and savings are often spectacular. “Sonderposten” is usually an indication for the best deals but choice and sizes are likely to be limited. “Schnäppchen” means bargain and is usually used for items with additional savings. The Adidas factory outlet store in Herzogenaurach follows fairly standard German shopping hours: 9:00 to 20:00 on weekdays and 9:00 to 18:00 on Saturdays. The shops are closed on Sundays and most holidays. During advent shopping hours may be longer but shorter near Christmas and New Year’s Day. 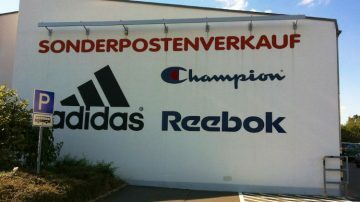 The Adidas and Reebok factory outlet store is at Olympiaring 3, 91074 Herzogenaurach, Germany. It is only 3 km off the Erlangen-Frauenaurach exit 82 on the Autobahn A3 just to the north of Erlangen and Nürnberg. Drive west – the Adidas (and adjacent McDonalds) will soon be visible. Puma is two long blocks further down the road. Driving times to the Adidas Fabrikverkauf in Herzogenaurach is around 10 minutes from Erlangen, 30 minutes from downtown Nuremberg (Nürnberg) or 40 minutes from Bamberg. The proximity to major autobahn highways make the Adidas factory outlet stores a very popular stop over for Germans on vacation. The factory outlets in Herzogenaurach are best reached by car, as public transportation really is not convenient. Outlet shopping malls are popular in Germany with several scattered throughout the country. Other factory outlet malls in the larger region include Ingolstadt Chic Outlet Shopping Village near Munich and Wertheim Village near Würzburg and Frankfurt. However, by far the best factory outlet shopping experience in Germany is in Metzingen to the south of Stuttgart where five Hugo Boss shops are the main attraction in a growing shopping village.